The 10 Best Public Golf Courses in Nebraska! It’s not just about football in Nebraska. 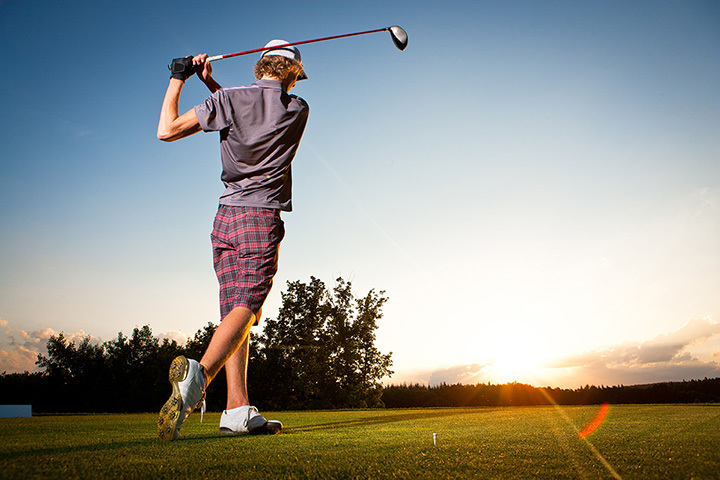 The state is also home to plenty of accessible, public golf courses where golf lovers can enjoy some great tee time surrounded by all of the beautiful, natural scenery that Nebraska offers. Here are 10 of the best public golf courses in the state. The Prairie Club in Valentine is a true golfing gem. This beautiful, well-maintained public golf course offers a friendly atmosphere and a fantastic natural landscape for the perfect golfing getaway. This 18-hole facility features sceneries that only Norman Rockwell could create. It’s quiet, in the middle of nature, and offers a fabulous course for a round of golf. Awarii Dunes Golf Club offers a challenging course with 19 holes built on the Nebraskan sand hills with large fairways and even larger greens. Overall, this is an excellent option for golfers with a wide range of skill levels. For a secluded feeling with views of the Snake River Canyon, The Prairie Club Pines course in Valentine is another top choice. Near-perfect greens and an interesting course make this place enjoyable to play time and time again. In Gothenburg, alongside a historic Pony Express station built in 1854, the Wild Horse Golf Club delivers the fun every time. Listed on Golf Magazine’s list of “Top 100 Courses You Can Play” is one of the most affordable top 100 golf courses in the country. Quarry Oaks Golf Course is the top golfing destination in Eastern Nebraska. Whether you’re with a group of 20 or 150 people, Quarry Oaks can accommodate groups of all sizes and the services are second-to-none. Bayside Golf Course in the heart of Brule is a fun course with a unique layout and excellent views of the lake. Stop by with friends or for your next corporate event—you won’t be disappointed. A true golfing destination for locals and visitors alike, the Wilderness Ridge Golf Club in Lincoln is an outstanding course with unique water features, challenging shots, and beautiful scenery. For your next casual round of golf with friends, visit the Eagle Hills Golf Course located in a beautiful neighborhood in Papillion. The course features beautifully sculptured bunkers, lakes, and mature trees for a challenging, yet enjoyable, round of golf. HiMark Golf Course in Lincoln is a 27-hole public course in Lincoln that features well-maintained, grassy fairways with lots of trees for added character. This course is for golfers at all skill levels to enjoy.